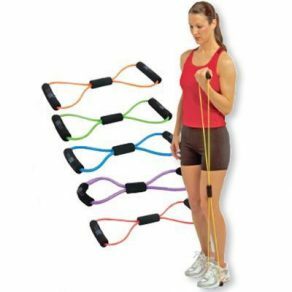 The unique figure-8 design of the Versa-8 tubing makes it extremely versatile and effective for both upper and lower body exercises. Loop the tubing around your ankles or knees, grasp it in your hands, or do both to easily connect the upper and lower chain. Resistance tubing is essential for rehabilitation after injury and strength training to improve muscle tone. With its simple and portable design, this small piece of exercise equipment is ideal for on-the-go fitness and rehabilitation.